We continued along route E22 until we saw the sign to Hällevik Beach which we decided might be worth a look. 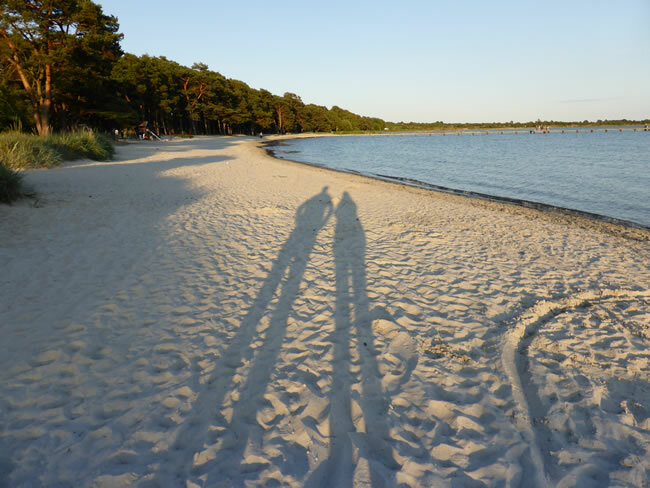 It was getting late so the shadows were getting longer as we went for our walk along the 'strand enjoying the white sandy beach. As with most places there are no waves as we look across Hanö Bay into the Baltic Sea.